With Project Griffon, we want to share examples and started with you – the Tableau Community. The objective here is to share tools which use what you have in front of you to help explain more about what’s going on. 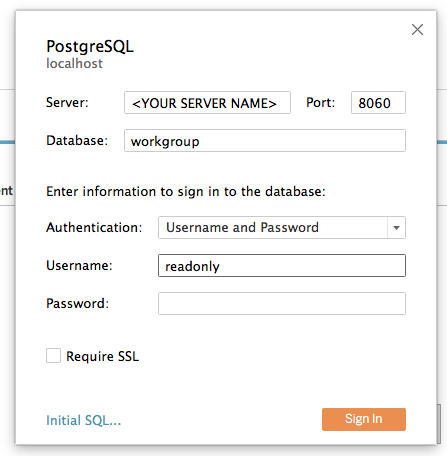 Please be sure to read the introduction to Project Griffon, and ensure that you have access to the Tableau Server Repository via the Postgres connection. What’s going on? I need intel! The biggest benefit that the Tableau Server Repository brings is the ability to find one who is viewing what, and when. 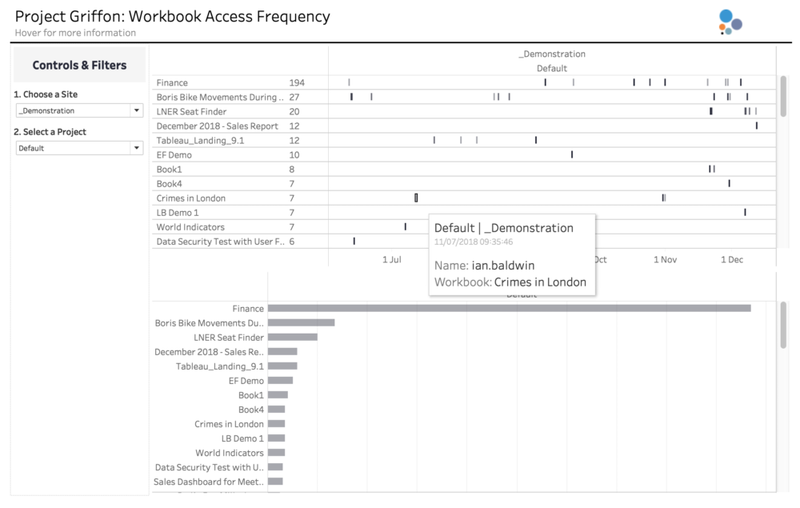 So when my colleagues in The Information Lab Italy had a customer wanting to find out more about the frequency of access by a Tableau Server user on specific projects and workbooks. This sort of intelligence is available in the pre-rolled, built in Tableau Server views, but it’s not the best in terms of trying to ask and answer questions. However, the datasources which drive them? 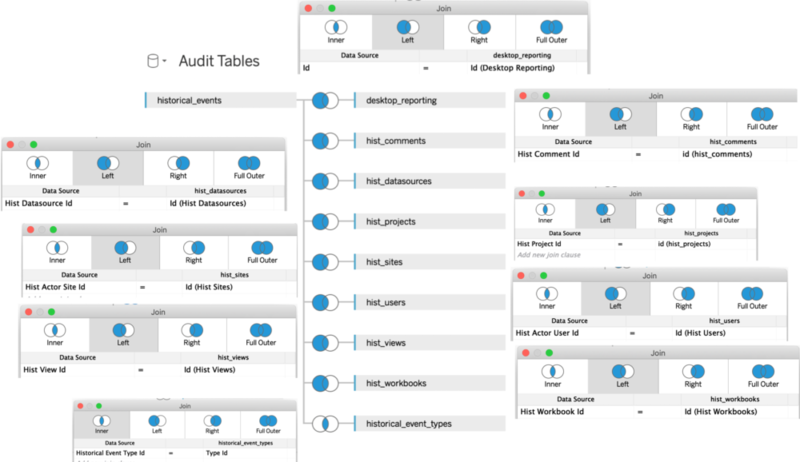 The ‘Audit Tables’ data connection drives a lot of the built-in administrative views. 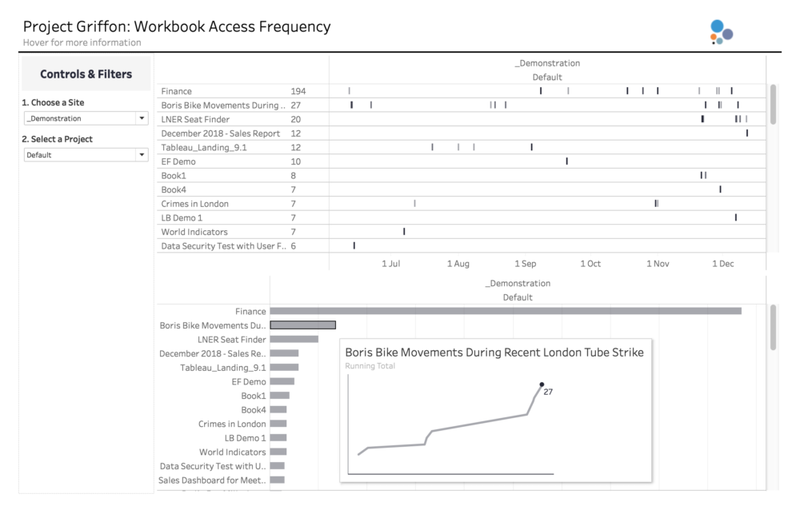 It contains ‘event’ level data across workbooks, datasources, projects and sites. Again, fairly busy – but as always the workbook is available for download for you all to plug and play. Show us the good stuff! The viz itself is quite simple. The objective was to dig into Sites and Projects, and find out which users are accessing a view. This is clearly a very quick starter for 10 – there’s lots more that can be done with Groups, or the search and highlighting users… but in a very broad sense it works. The bottom section looks at the workbooks again, and the total number of views. This focuses upon the top level popularity of the workbook. I’ve attempted to replicate the sparkline chart you see on Tableau Server when you hover over a workbook or a view. 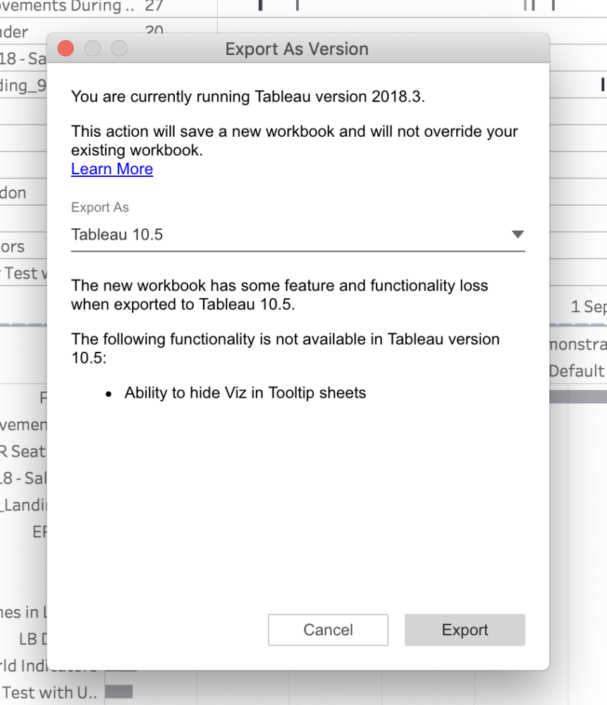 Hit this link (Workbook Access Frequency_v10.5) to download the workbook. I’ve uploaded this as a Tableau Desktop 10.5 file as I’ve used Viz in Tooltip as a functionality – also discovered this neat feature while doing so! Don’t forget to change the repository details in the datasource details window, adding your password of course. Please do share your feedback and experiences, and stay tuned for more #ProjectGriffon goodness! Be a community star, share away! Why is learning something new so hard?